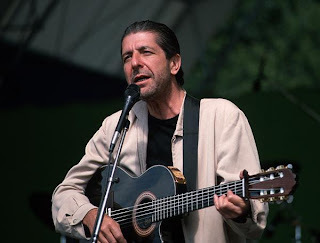 This is Leonard Cohen from 1993 touring around the time of 'The Future' being released, (his last tour until now). if you get a chance to see him live, take it! Having released three 'official' live albums, this is the first live material I have heard from 'The Future' era, and it is extremely good. The man remains a massive influence in music, and now in his seventies, is as eagerly anticipated, as at any other time in his forty year musical career. This was recorded from an FM broadcast of the concert at the Lisebergshallen, Gothenburg, Sweden, on the 2nd May 1993. 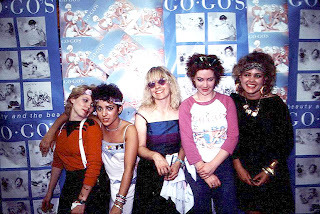 This is the Go-Go's in their 1980's hey day. They made rock history as the first all-woman band that both wrote their own songs and played their own instruments to top the Billboard album charts in the USA. Their energetic music spanned surf, new wave, pop-punk, power pop, and rock. Although Belinda Carlisle has had considerable success as a solo artist, the Go-Go's are very much on equal terms with each other, as is evidenced by this concert. I do not have the precise location or exact date for this gig, beyond LA, California in 1984. This is a superb and lively performance.